Bea gives life concerts for all occasions, which need high standard musical entertainment: e.g. company parties, weddings, birthdays etc. She sings and plays her own guitar for all people who have courage and confidence or who want to find that again. An evening which touches your heart. Sophisticated texts, a big voice and a lot of subjects to think about for positive thinking in everyday life. 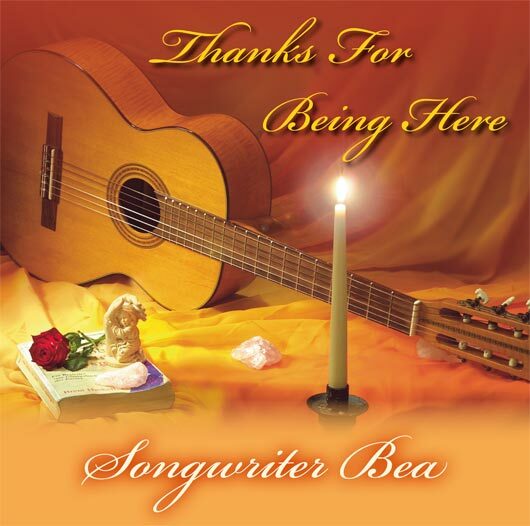 Bea's concerts and CDs will bring you courage,optimism, power and zest for life. Die CD kann bei Conex-books and more (order@conexbooks.de) bestellt werden. Unter "Audio"
You can order the CD: Conex-books and more. There are the last 15 CDs left.